Railway Recruitment Board - RRB, Government of India, Ministry of Railways published an official notification for Recruitment of Recruitment for various Posts in Level – 1 of 7th CPC Pay Matrix. Eligible candidates can apply for this recruitment. You can view more details about this recruitment including No. of posts, name of post, Educational qualification, Age limit, Selection process, How to apply etc... You can also view official notification and other important facts about this recruitment e.g. Important links and Important dates. 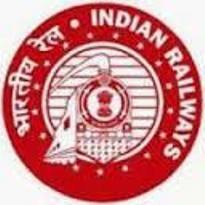 RRB Recruitment 2018 Online application for 62907 Vacancies in the posts covered are Track Maintainer Grade IV (Trackman), Gateman, Pointsman, Helpers in Electrical / Engineering / Mechanical / Signal and Telecommunication departments, Porter etc... The Latest RRB Jobs 2018 Centralized Employment 02/2018 Online registration has been started from 10th February 2018 and registration close on 12th March 2018. Educational Qualification: Candidates should have the Educational / Technical qualifications indicated against the notified posts in the CEN from recognized Board/NCVT/SCVT as on the closing date for submission of the ONLINE application. Refer to Annexure-A for the prescribed qualification against each of the posts. Those awaiting results of the final examination of the prescribed educational / technical qualification SHOULD NOT apply. Diploma / Degree in Engineering will not be accepted in lieu of course completed Act Apprenticeship / ITI. Also, Graduate Act Apprentice will not be accepted in lieu of Course Completed Act Apprenticeship. Examination Fee: Rs. 500/- for all candidates except the fee concession categories mentioned below at Sl No 2 and Rs. 250/- for Candidates belonging to SC / ST / Ex-Serviceman / PWDs / Female / Transgender / Minorities / Economically backward class. (This fee of rs. 250 shall be refunded duly deducting bank charges, on appearing in CBT). There shall be a Computer Based Test (CBT). Candidates qualified in the CBT shall have to undergo Physical Efficiency Test (PET). Marks will be normalized in the CBT. Negative Marking: There shall be negative marking for incorrect answers in the CBT. 1/3 of the marks allotted for each question shall be deducted for wrong answer. C-1: Distant Vision: 6/12, 6/18 with or without glasses. Near Vision: Sn. 0.6, 0.6 with or without glasses when reading or close work is required. General Science: The syllabus under this shall cover Physics, Chemistry and Life Sciences of 10 standard level. d. General Awareness on current affairs in Science & Technology, Sports, Culture, Personali ties,Economics, Politics and any other subjects of importance. Candidates can apply for vacancies of any one RRB only through ONLINE application. Only single online application has to be submitted by the candidate to the RRB of their choice for all the notified posts of that RRB through the link provided on the official website.